Welcome to Faith, Science, Joy, … and Jane Austen! – Faith, Science, Joy, … and Jane Austen! I love Jane Austen. I love her way with words, her wit, her characters, her ideas, and her world. And I enjoy finding ways Jane Austen’s world intersects with mine, especially in Christian faith and in science. As a Christian, I’m interested in Jane Austen’s faith, and the faith of her characters and others in her world. One day as I was exploring Bath, setting of two of her novels, I came across a gate to a lovely house. The iron streamer proclaimed it “The Countess of Huntingdon’s Chapel.” Founded in 1765; ten years before Austen was born. A chapel she might have visited! Exploring the chapel, now the Museum of Bath Architecture, I discovered that George Whitefield, the famous preacher, was one of the Countess’s chaplains. This Chapel started me on a journey to explore the many facets of the church in Austen’s day. (A chapel, by the way, meant something different than a church!) Many incidents in Austen’s novels revolve around the Church in her time, and I want to share insights about those passages. Also, fascinating people, including the Countess of Huntingdon, were influencing the church in Austen’s time. 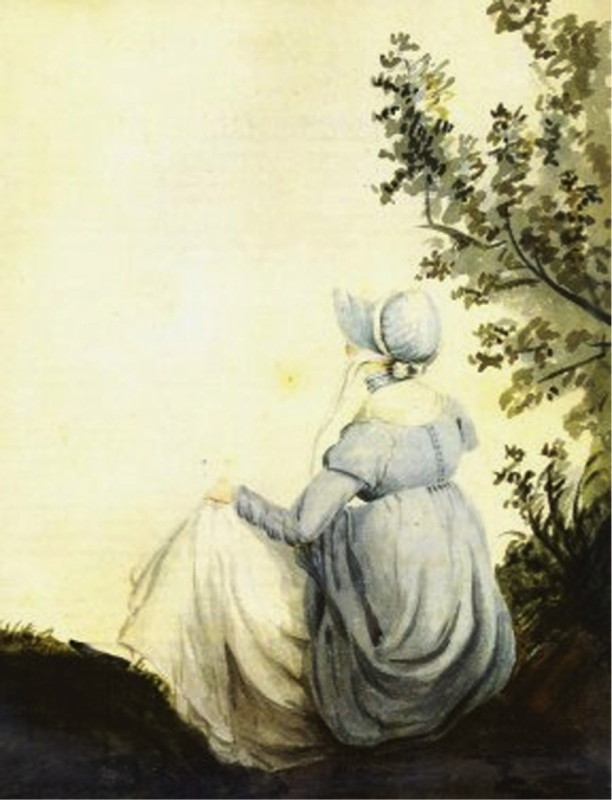 With all that I’ve been learning, I am writing a book, Fashionable Goodness: Christianity in Jane Austen’s England. Another delightful discovery I made in Bath was the Herschel Museum of Astronomy. In the backyard of this very house, William Herschel discovered the planet Uranus! Austen was five years old at the time. William’s sister Caroline was also an astronomer, who discovered many comets. And . . . Herschel was the organist at the Octagon Chapel in Bath, where Austen herself may have attended! However, he left Bath almost twenty years before she moved there. Herschel connects music with both science and faith. Music was considered to be related to both mathematics and astronomy. In the church, elaborate anthems were written for major churches. Country churches like those Austen mostly attended generally sang Psalms. But hymns were increasingly popular during her time, especially among the Dissenters (non-Anglicans), Methodists, and Evangelicals. The Evangelical John Newton wrote “Amazing Grace” for his Anglican country church at Olney during Austen’s time. Austen’s world was in transformation, and two leaders of the changes were the church and science. This may seem an unlikely combination, but with my background in chemical engineering and my faith in God, I am fascinated by both. And in Austen’s era the church and science were mostly in alliance. Science was considered to totally support Christianity. (Darwin’s Origin of the Species, challenging all that, came out 42 years after Austen’s death.) More fun discoveries are helping me build a book on Science in Jane Austen’s England. I find joy in this journey, exploring new realms of faith and science and Austen’s world. I invite you to join with me each week in my own journey and in new discoveries, including books and websites and pictures, hoping they will also bring you joy! What questions do you have about faith or science in Jane Austen’s world that I can address in coming weeks?